7mm is a brand that does high quality paper stationery. 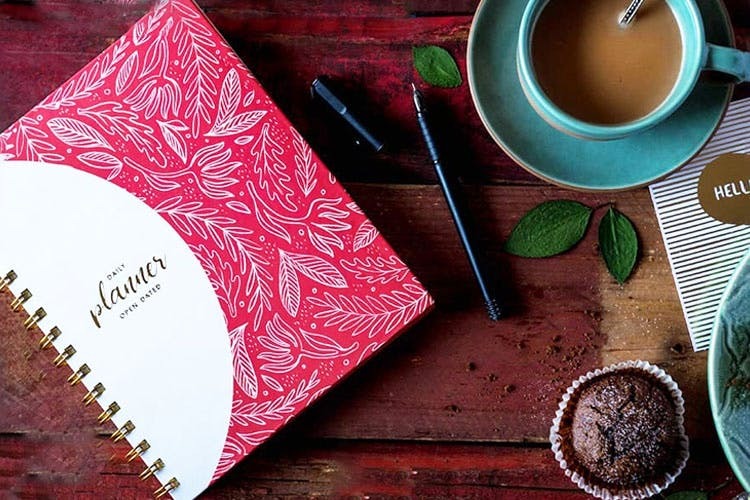 They have planners, doodle pads, notepads, and sketch books–all of that in designs and prints we're crushing on. If you're the kind of person who expresses themselves better on paper than anything else, or have a penchant for picking up the mighty pen every time a thought crosses your head, you need 7mm's paper stationery in your life, stat. If quality is the name of the game, these guys are definitely out to win it. They've got notebooks, sketch books, notepads, and planners with quite a bit of design and utility variations in each of the category. Note down those important pointers in their hardbound notepads that come with rose-gold foiling, edging and metal corners; plan out your daily tasks in the metallic gold planners (psst, they also have dedicated scribbling and doodling pages); or pick up the colourful (yet subtle) sketch books that have silk screens printed with flouro ink–perfect for your creative masterpieces. We browsed through their store and found that all their products have cool, vibrant prints on them–something we're always drawn towards. They've got to-do lists, wrapping paper, and meal planners as well. The pricing might feel a bit on the higher side, but we feel the quality lives up to it. They're soon starting their range of personalised stationery, so we say you keep an eye out on their website and social media to stay in the know about it.